All Llano homes currently listed for sale in Llano as of 04/20/2019 are shown below. You can change the search criteria at any time by pressing the 'Change Search' button below. If you have any questions or you would like more information about any Llano homes for sale or other Llano real estate, please contact us and one of our knowledgeable Llano REALTORS® would be pleased to assist you. "This home has so much to offer! You will love the open high cathedral ceiling in the front living room with wood burning fireplace. The beautiful gourmet kitchen with custom cabinets that are soft close and pull out drawers, Viking Stove, Quartz Counter tops with large breakfast bar open to a formal dining area. You can enjoy the huge family room that can accommodate a movie theater type room setting with custom surround sound that is also comforted with a wood burning stove. There is a play room for kids or adults or could be used as another large bedroom. There is tile wood looking flooring throughout the house, LED Lighting, a transfer pump system for warm air, Trane-A/C Electronic air filter system. The property has horse corrals, Tack Room, fenced, RV Parking, Shipping Container, Water tank for emergencies! This is a must see Gem! 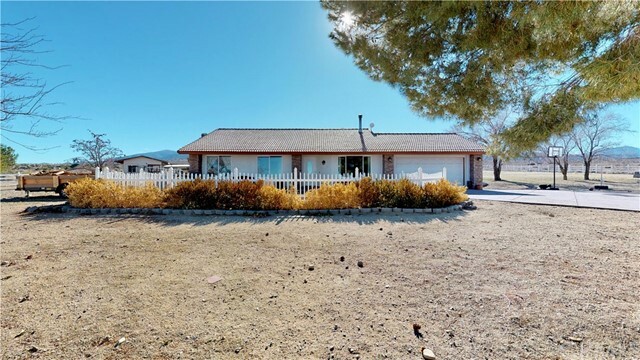 Association Amenities: None # of RV Spaces: 0 Special Features: CC,CONONE Frontage Type: Dirt Road Lot Location Type: Standard Location # of Attached Spaces: 2 # of Detached Spaces: 0"
"This home has so much to offer! You will love the open high cathedral ceiling in the front living room with wood burning fireplace. The beautiful gourmet kitchen with custom cabinets that are soft close and pull out drawers, Viking Stove, Quartz Counter tops with large breakfast bar open to a formal dining area. You can enjoy the huge family room that can accommodate a movie theater type room setting with custom surround sound that is also comforted with a wood burning stove. There is a play room for kids or adults or could be used as another large bedroom. There is tile wood looking flooring throughout the house, LED Lighting, a transfer pump system for warm air, Trane-A/C Electronic air filter system. The property has horse corrals, Tack Room,fenced, RV Parking, Shipping Container, Water tank for emergencies! This is a must see Gem! 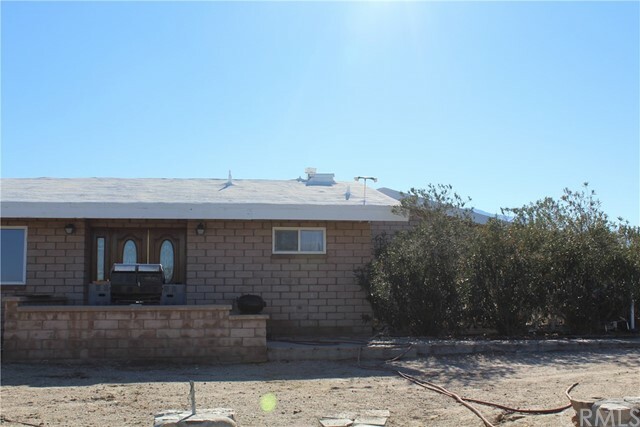 Association Amenities: None # of RV Spaces: 0 Special Features: CC,,SHNONE Frontage Type: Dirt Road Lot Location Type: Standard Location Special Features: Garage Door Opener # of Attached Spaces: 3 # of Detached Spaces: 0"
"This home has so much to offer! You will love the open high cathedral ceiling in the front living room with wood burning fireplace. The beautiful gourmet kitchen with custom cabinets that are soft close and pull out drawers, Viking Stove, Quartz Counter tops with large breakfast bar open to a formal dining area. You can enjoy the huge family room that can accommodate a movie theater type room setting with custom surround sound that is also comforted with a wood burning stove. There is a play room for kids or adults or could be used as another large bedroom. There is tile wood looking flooring throughout the house, LED Lighting, a transfer pump system for warm air, Trane-A/C Electronic air filter system. The property has horse corrals, Tack Room, fenced, RV Parking, Shipping Container, Water tank for emergencies! This is a must see Gem!" "Come Home to this wonderful ranch style home that sits right on the golf course of Crystalaire Country Club! Great for entertaining, this open concept living stretches from the kitchen to the living room and out to the large enclosed patio over looking the golf course. Large office/den that can be utilized as 3rd bedroom. Located on a quiet cul-de-sac this home features many quality upgrades. In the kitchen you will find a large custom built in refrigerator/freezer, granite counter tops with bar seating, five burner gas stove top, double convection oven, large sink, high end dishwasher and large stone tile throughout kitchen and dining area. Settle down for the night in the master bedroom which features a gas burning fire place and direct access to the spa in the enclosed patio. In the master ensuite you will find a large shower with three faucet heads, an original porcelain claw tub from the 1800's, antique dual vanity and spacious walk in closet. Adjustable recessed lighting throughout the home allows you to set the mood you desire. Crown molding throughout home. TV room with surround sound. Ceiling fans in every room. A/C unit and two swamp coolers each with own air duct systems. Tankless water heater. Outside you will find drought tolerant vegetation, succulents, pistachio trees, peach trees, and greenhouse all on drip system. Covered bocce ball court, horse shoe pits and so much more! RV enclosed parking structure off site available for purchase also. Do Not Miss Out # of RV Spaces: 0 Special Features: ,WSECPOOL,CLUB,TENN,LAKE,GOLF Lot Location Type: On Golf Course Pool Features: Common Pool Special Features: Garage Door Opener # of Attached Spaces: 3 # of Detached Spaces: 0"
"From the moment you step into this Mid-century home, you will be greeted by peace and relaxation. The views of the golf course against the desert mountains are truly mesmerizing! These incredible vistas change throughout the day, as light changes, and can be enjoyed from throughout the house or while eating breakfast right on the patio that also is partially enclosed. The inviting open space from the kitchen to the dining room and family room creates an environment perfect for family dinners and parties. The overall floor plan was designed for entertainment with a formal dining room and separate living room. This house has 2 large master bedrooms and another bedroom that has a half bath and built in cabinets. That's right! Three bedrooms and 4 bathrooms! The kitchen has been recently updated with granite counter tops, custom cabinets, and newer appliances. The details throughout the house are both elegant and functional, such as chandeliers and ceiling fans in the bedrooms. This One of a Kind Custom home is located in the inviting community of Crystalaire. You must take a look to appreciate today!" 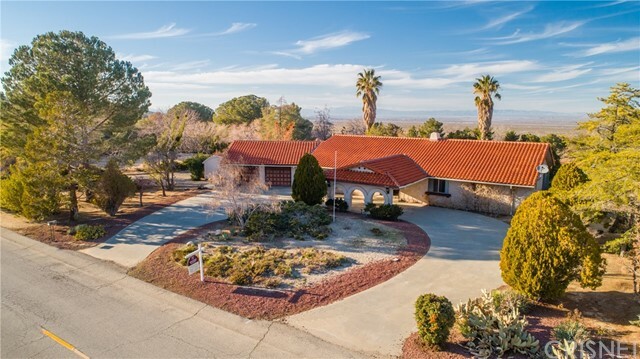 "This home has so much to offer with 3 bedrooms 2.25 baths, an oversize 2 car garage. large utility room with endless amount of storage, the nice size kitchen has tile counter tops, double oven, water softer system, corner pocket cabinets with lazy-susan, cooktop, breakfast bar and tons more. From the main double door entrance you'll find a large inviting formal living room with a full length windows/slider that offer a view for miles, a floor to ceiling fireplace, a hide away bar with storage, open beam ceiling that goes from the formal living room to the formal dining room. the wide hallway has a pocket door to close off the back of the house for privacy, the hall bathroom offers double sinks, large garden tub with pocket siding shower doors. The master bathroom offers a nice shower, stepdown Jacuzzi tub and double sinks. The master bedroom has to large closets, one is a walk in." "Favorable Farming Location with abundance of water Situated and Seated in Parks-like mature trees, Various kinds of fruit trees, Japanese Ume, Grape, Asian Pear, Apple, Mulberry, Pomegranite & jujubee,even Big Pinus Association Amenities: None # of RV Spaces: 0 Special Features: BN,,PTRY,WK,OBNONE Frontage Type: Dirt Road Lot Location Type: Standard Location Landscaping: Natural, Partial Special Features: Garage Door Opener # of Attached Spaces: 2 # of Detached Spaces: 0"
"If privacy and land are what you are looking for, then this is the house for you. 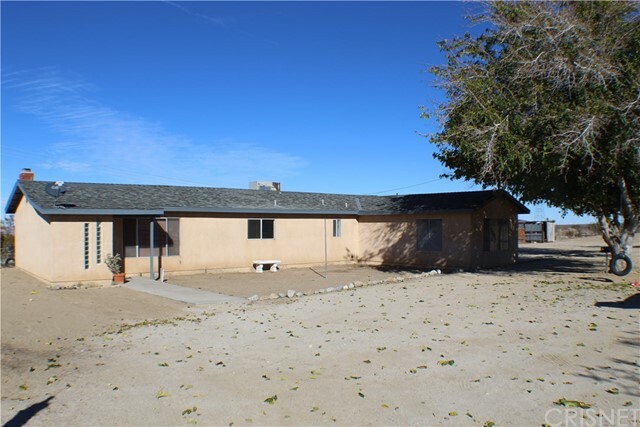 This quaint 2 bedroom and 2 bath home with 1608 sq. ft., has an open concept with a nice brick fireplace in the living room. The kitchen has ample cabinet space and a center island. The laundry room has extra cabinet space for additional storage. The lot is a little under 5 acres and is nicely manicured and perfect for the contractor or horses. This home is one of a kind and waiting for you!" "Nice location sitting on paved road. It has beautiful mountain and desert views. Just less than a mile from 138 HWY. The house needs totally rehab. There was once electricity but now no utility available(buyer to verify)." "One of the best view properties in Los Angeles County. Off the grid. Septic is in needs solar, propane, wiring, kitchen and plumbing. Water is trucked in. Seller has the contractors available that have been restoring this cabin-appears to be very reasonable. 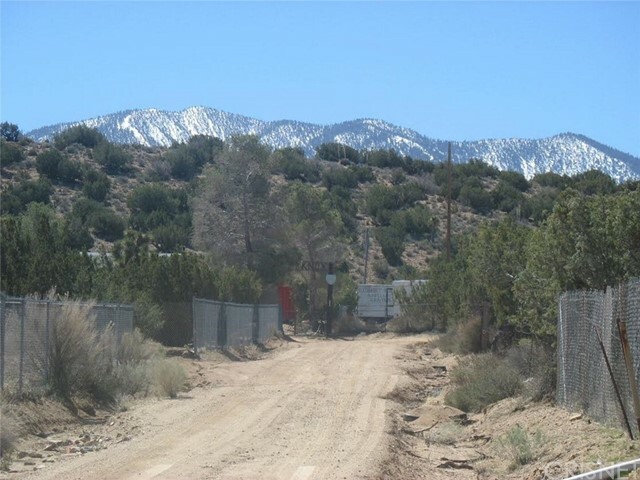 Sits just below Wrightwood and Mountain High at roughly 4300 feet elevation. Buyer to verify all." 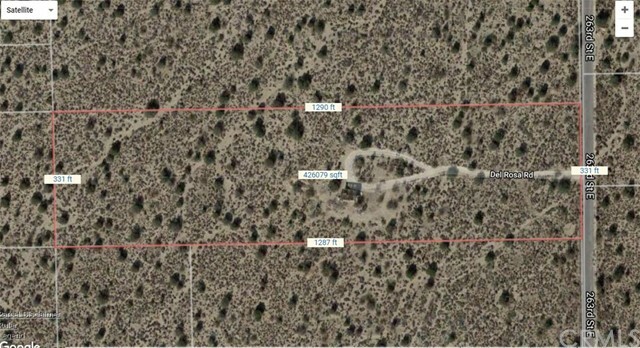 "5 Acres of Residential Zoned property in Llano, CA. 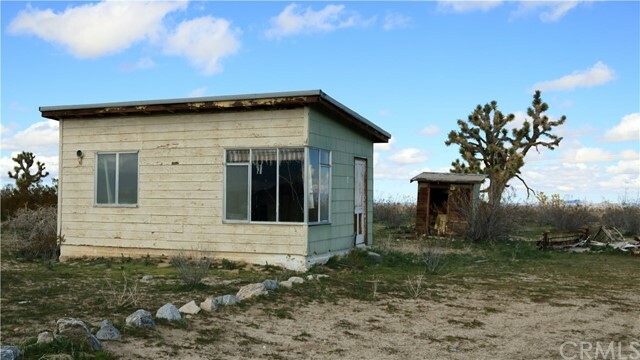 Just inside LA County border with San Bernardino County, This property has utilities adjacent and electrical to the on site studio cabin. 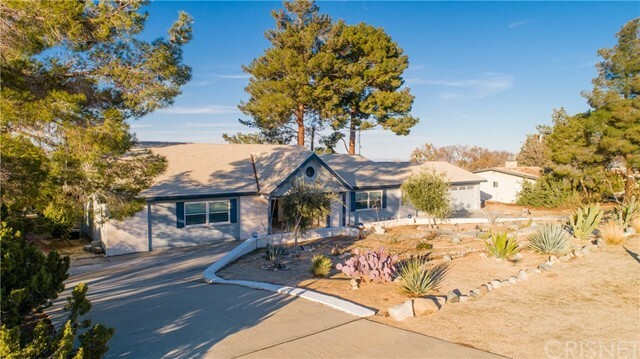 The incredible mountain views and Rural feel of this land is perfect for that Joshua Tree lover. This can be a get-away spot for the off-road enthusiast, or build a forever home like others in the neighborhood. This canvas is ready for your paintbrush!"